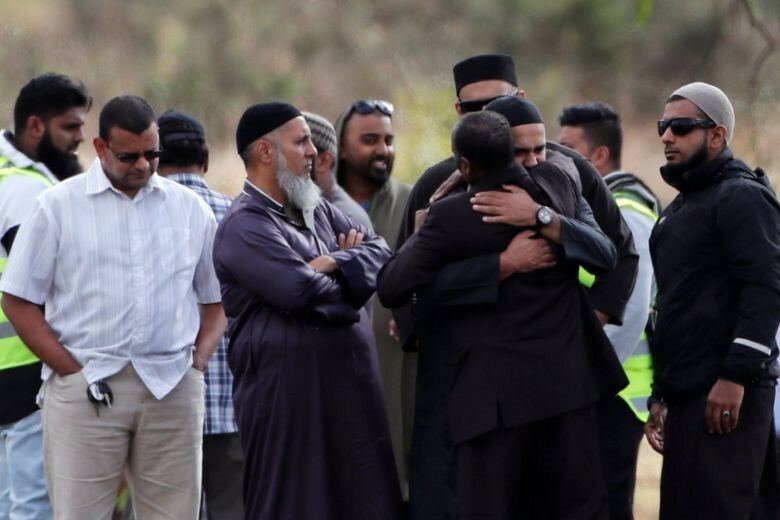 The world reacted with shock and grief after a gunman entered two mosques in New Zealand on Friday, killing 50 people and wounding dozens of others. These attacks have become all too familiar, especially on the heels of the devastating attack in October, during Shabbat services, in the Tree of Life Synagogue in Pittsburgh killing 11 people. Our students seek ways to respond and offer support. Yesterday, Lucy D., David G., Gabriel P. and Adam V., representing us all, went to the Permanent Mission of New Zealand to the UN to deliver a beautifully designed condolence card, thank you Meira W. and Aaron S. We were received warmly in the lobby of the mission, as only dignitaries, and there were many arriving, were given the security clearance needed to go to the offices. Lucy gave a small size lily plant to the Mission's representative, and the boys gave her our card and offered our condolences. We express our deepest sympathy to the families who have lost their loved ones in the senseless attack. The students and faculty of the Rabbi Joseph H. Lookstein Upper School express their condolences to the families of the innocent victims of the senseless tragedy.